This week, the Property Poser experts deal with a double dose of queries from readers. The first question concerns a rental deposit, while the second involves the common property in a sectional title complex. In the first scenario, the reader rented a residential property and paid over a deposit. All went well until the reader gave her notice and subsequently vacated the property. The following day, she contacted the landlord to arrange to return the key and get her deposit back so she could use it to cover the rental deposit on her new premises. The reader says the landlord proceeded to tell her that he did not have the deposit and, to make matters worse, did not know when he would be in a position to pay the monies back. The second question comes from a reader who recently bought a townhouse but feels she has no privacy as members of the body corporate access her yard as they see fit. The reader explains that although the yard is enclosed with a wall and gate, she is not permitted to lock the gate as the area forms part of the complex's common property. Furthermore, the bathroom window is close to this entrance and this makes the reader somewhat uneasy as she feels that her privacy is being violated. She would like to know what her rights are. Regarding the first query, Grant Hill of Miller Bosman Le Roux Attorneys in Somerset West, Cape Town, says the Rental Housing Act prescribes that the landlord must, on acceptance of the deposit, bank it in an interest bearing account for the benefit of the tenant, subject to certain provisions and permitted deductions. "On the face of it, the landlord has committed an unfair practice and our reader should seek redress under the Act by referring the matter to the Rental Housing Tribunal." Hill says the tribunal was established under the Act to deal with instances such as this. "A ruling by the tribunal can be acted upon as if it was a judgment of the Magistrates' Court and carries the same . . .
We have a lot of lost potential in our organisations. It is believed that if you direct focus at elements such as your company’s strategy, structures, products, processes and systems you will be able to achieve the results you want in your organisation. 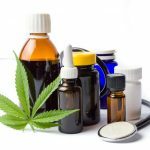 However, says Helene Vermaak - clinical psychologist, co-owner and principal consultant of The Human Edge – this couldn’t be further from the truth. A lot of what happens in organisations and teams happens below the surface The majority of energy in your organisation and team is drained when your people aren’t engaged and being responsible for the work that they do. To uncover the source of the energy drain and why your people aren’t engaged with your organisation, you must seriously look at the culture of your organisation and identify what factors are causing your employees’ lack of interest in their work. As a starting point, Helene believes that there are four competencies you need to encourage your employees to build before you can expect them to change their current behaviours and become a cohesive team: 1. At a personal level, all your employees need to be engaged in self-directed change. They need to be asking themselves questions such as: • Do I have the ability to understand my behaviour? • Do I have the ability to know what change plan I need to put in place to alter whatever vital behaviours I need to enforce in my life? 2. At an interpersonal level, if you do not have open and honest conversations in your team and organisation, your long-term results will be affected. 3. At a team level, you need to be competent around accountability. “In the last probably 12 – 18 months, all the organisations we have spoken to have said that accountability is a big challenge for them,” says Helene. 4. At an organisational level, we need to become competent in influencing people’s behaviour. Are there people out there who want to change something in their lives? Vital Smarts conducted a . . . Following in the footsteps of the 2013 Michelangelo International Wine Awards, Rosendal Winery was at the top of its game at this year’s Veritas Awards. The much acclaimed RESERVE HILLTOP MERLOT 2011 was crowned with GOLD and the BARONY AUGUST CABERNET SAUVIGNON 2011 with BRONZE. Rosendal’s wines are HANDCRAFTED and prepared by THERESE DE BEER, one of South Africa’s leading and multiple award-winning winemakers. With inspiration drawn from the beautiful and fertile surrounding ROBERTSON VALLEY, it is clear that Rosendal Winery’s emphasis is on QUALITY rather than quantity. All grapes are carefully handpicked and specifically selected from the best grape cultivars found in the Western Cape. With Therese’s knowledge and mastery, combined with the quality standard of the Winery, a unique guarantee is ensured when it comes to the individuality of Rosendal’s exclusive wines. Simply said, these wines are different from anything you've ever tasted … and the proof is in the pudding with winning awards! WHAT IS VERITAS? The annual Veritas Awards is the longest running and most prestigious wine competition in South Africa with the organiser, South African National Wine Show Association (SANWSA), representing the full spectrum of the industry. It is the only wine competition in South Africa for the industry by the industry and there is not commercial gain for the organiser. In 1990 SANWSA first introduced the National Bottled Wine Show in SA and then renamed it Veritas Awards in 1991. Thus, after more than two decades Veritas has earned its reputation as one of South Africa’s most authoritative and credible competitions for market ready wines. 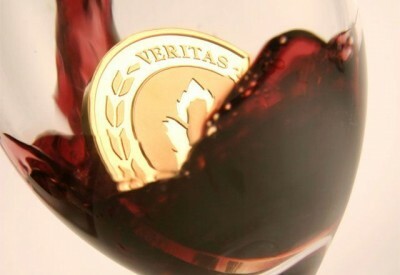 No doubt that the Awards, with its coveted Veritas emblem, has become synonymous with EXCELLENCE and TOP QUALITY WINES. The JUDGING SYSTEM for Veritas has been described as one of the most thorough in the industry. Judging panels are representative of the entire wine industry and include winemakers, researchers, academics and . . . The Revised Codes of Good Practice (RCoGP) will be gazetted by Government on Friday 11 October 2013. 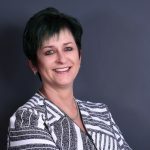 Dr Robin Woolley , Executive Director, Transcend Corporate Advisors explains that Minister Rob Davies, of the Department of Trade launched the proposed amendments to the CoGP year ago, in October 2012. “The intention of the Revised Codes was to align Broad-Based Black Economic Empowerment (BB-BEE) more clearly with not only the government’s developmental objectives, but also the tools/initiatives which have been designed by government to achieve these developmental objectives - such as the Accelerated and Shared Growth Initiative for South Africa, the National Development Plan, the New Growth Path and the Industrial Policy Action Plan. The developmental objectives included specific reference to skills development, job creation, localisation, and industrialisation and supplier development,” he says. “The Revised Codes of Good Practice include changes to BEE that will greatly impact on businesses in South Africa, such as new thresholds for Exempt Micro Enterprises, Qualifying Small Enterprises and generics; the automatic discounting of an entity’s level rating where the sub-minimum for Priority Pillars of the scorecard have not been met; and Qualifying Small Enterprises now having to comply with all Pillars of the scorecard, including Ownership.” In this regard, Transcend Corporate Advisors will hold a one-day seminars to unpack the changes in the RCoGP and detail what needs to be done by business to become compliant with the RCoGP. The following topics will be discussed during the seminar: • High level strategic implications of the changes for South Africa as a nation. • A focus on a comparative analysis and pillar by pillar approach, to review the differences of the proposed changes • Understanding the supporting legislation such as the BEE Act changes • Understanding the calculation methodologies • What are the likely process implications for . . .
“It is impossible to gainsay the value of Africa’s creative industries when it comes to jump-starting the continent’s political and economic development. Like a phoenix, Africa is rising from over a century of colonialism followed by phantom liberation to become, potentially, the engine of the planet’s growth until the end of this century and beyond. The continent’s cultural and artistic communities have an instrumental role to play in making the African dream a reality.” This was the message delivered by Dr Israel Kodiaga during his opening address at the launch of the African Creative Economy Conference 2013, which runs at Cape Town’s City Hall until 9 October 2013. 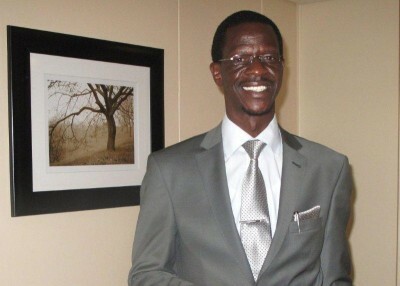 Dr Kodiaga, Director: Programmes, Research and Strategic Development, African Centre of International Studies, Kenya, is one of the speakers at the conference, the biggest event of its type ever held on the continent. Attracting around 400 delegates from over 40 countries in Africa and beyond, this is the third African Creative Economy Conference organised by the Arterial Network, a dynamic grouping of individuals, non-government organisations, donors, businesses, festivals and institutions dedicated to building Africa’s creative and cultural sector. The conference implementing agency is the Cape Craft & Design Institute. Previous conferences in Nairobi (2011) and Dakar (2012) have played a leading part in creating markets and raising the profile of Africa’s artistic and cultural industries regionally and internationally. The aim of this year’s conference is to focus attention on how the continent’s creative industries can play a meaningful role in accelerating Africa’s economic growth, while building democracy and human rights. Commenting on the conference format, Korkor Amarteifio, Chairperson, Arterial Network, said: “This will be a conference with a difference. Delegates will be invited to share ideas and research through formal and informal presentations. At the same time, there . . . The Regulations regarding the Mandatory Blending of Biofuels with Petrol and Diesel (Regulations) will come into operation from 1 October 2015, according to a notice published in the Government Gazette on 30 September this year. 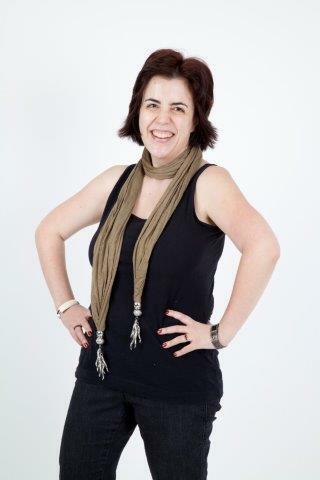 This is according to Emma Dempster, Senior Associate in the Projects and Infrastructure Practice at Cliffe Dekker Hofmeyr, who says that the Regulations are part of the Biofuels Industrial Strategy of the Republic of SA (Biofuels Strategy) published in 2007. The aim of this Strategy was to outline the Government’s approach to policy, regulations and incentives in respect of biofuels “The Regulations were formulated to control the mandatory blending of bio-ethanol or biodiesel with petroleum petrol or petroleum diesel to produce a biofuel blend that may be sold in South Africa,” explains Dempster. “Biofuels include bioethanol, produced from sugar and starch crops such as corn or sugarcane; and biodiesel, produced from vegetable oils. The development of the industrial strategy and the establishment of a biofuels industry is aimed at stimulating South Africa's underdeveloped rural communities with a bio-fuels value chain as well as being in line with South Africa's aim of moving towards using cleaner fuels that have a lower sulphur content and produce less greenhouse-gas emissions by 2017,” she says. Dempster explains that Section 3 of the Regulations provides that a licenced petroleum manufacturer must only purchase biofuels from a licensed biofuels manufacturer. This Section also states that when a licensed biofuels manufacturer supplies biofuel to a blending facility of a licensed petroleum manufacturer; that biofuel must be accompanied by a quality assurance certificate. Also, a licensed petroleum manufacturer must pay the regulated price (being the transfer price of biodiesel or bio-ethanol, as regulated by the Minister of Energy) for the biofuels sold to it by a licensed biofuels manufacturer. Lastly, this Section notes that all . . . The Windmills Resort in KwaZulu-Natal was once again honoured at the prestigious African Bridal Industry Academy (ABIA) Bride’s Choice Award. The Midlands boutique hotel won the title of best coastal boutique hotel for the second consecutive year and scooped the award for best in-house wedding planner. The Windmills Resort was nominated in a further three categories and reached the finals in the wedding caterer, reception venue and first night honeymoon destination categories. General manager of The Windmills Resort, Andre Schoeman, expressed his delight with the awards. “We are extremely proud of this achievement, which is definitely the result of great team work. I wouldn’t trade my team for any other in the world! Winning the best boutique hotel award for the second year running shows great consistency in terms of the level of service excellence we have achieved. This also means that we are now eligible for the national awards, which adds even more to our reputation for dedicated service and commitment to superior service,” mentions Schoeman. The ABIA awards were established in 2008 to monitor service quality within the wedding industry. The competition is based on anonymous votes submitted by brides, who have used the services of the more than 15000 service suppliers accredited to the organisation. The Windmills Resort has been extensively renovated over the past few years. The hotel was completely refurbished and various luxury self-catering lodges have been added to their offering. 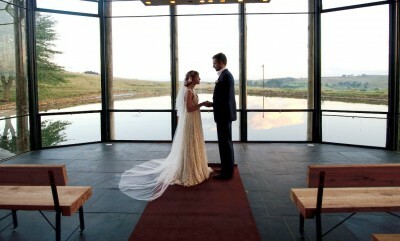 The venue also offers supremely elegant wedding venues, a wedding chapel on the lake with breath-taking scenic views, state-of-the-art kitchen facilities, beautifully appointed rooms, a fine dining restaurant, coffee lounge and banqueting hall as well as superb conference facilities. For more information, visit www.thewindmills.co.za. More Info link:: http://www.thewindmills.co.za Twitter: Facebook: YouTube: Author: Christel Liebenberg from Peridot . . .
Just1R.com, launched on 20th September, is an innovative digital platform that supports creativity by providing a platform for “people with ideas and dreams” to get noticed and garner financial support. The concept of crowd-funding appeals to founder and CEO, Patrick Walton, who says, “As an entrepreneur, film maker, writer and performing artist who has constantly struggled to get my ideas out there, and get funding, I saw an opportunity to tackle both in the social media space, and potentially see other like-minded people succeed. Not only will it benefit our community and support SME’s and small business, but it will also uplift, sustain and create awareness for our budding, creative people in South Africa, Africa and abroad”. JustR1.com follows a simple process. You must register your project to participate. Patrick comments: “We accept a number of projects within the parameters of creative and each project submitted is reviewed to ensure it matches the criteria. We will attempt to assist if the concept is not quite there, or we will notify the project owner if they do not meet the requirements”. The sites guidelines are: to make sure you have an eye-catching and clever title, followed by the details of the project, the time frame – here Patrick advises, “it’s a good idea to break your project into phases affording you timeous and achievable goals”. Following that you need to list your objectives, give a detailed, interesting description, and outline what incentives are on offer. A project can only be posted for a maximum of 6 months. The minimum contribution by a sponsor is R50. Patrick says: “What we have done is not new and has proven success abroad with larger established sites, but Africa is catching on to the crowd funding trend with the expansion of the internet and availability.” Whilst JustR1.com promises exposure online to their “crowd”, it also remains the responsibility of the project owners to communicate, update, respond and share their . . .
Fresh from the University of Johannesburg's triumph in the inaugural Varsity Football competition, Amanda Dlamini spoke about her decision to relinquish the national captain's armband and her work in the development of women's soccer. In March, the Banyana Banyana midfielder gave up the captaincy, after two years at the helm, to focus on her own game and her tertiary studies. "It was one of the toughest decisions I had to make regarding my footballing career. It's something that needed to be done for me to be content with myself, my game and my studies." Higher education was a priority, said the third-year Road Transport Management student, even for those young women carving out a career in professional sport. "Women's sport still lacks the sponsorship needed to make a good living. So should anything happen, such as a career-changing injury, one should be able to continue having a full life through your chosen field." 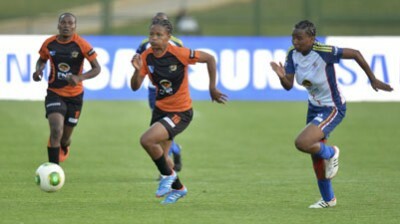 Dlamini is currently back home in Harding, KwaZulu-Natal, while she completes a module via correspondence, and plays for Durban Ladies in the Sasol provincial league. She has already made 66 appearances for the national squad and notched up 21 goals in the process. The highlight of her tenure as captain was leading the first ever Banyana team to qualify for the Olympic Games in 2012. She hopes to still be an integral part of South Africa's plans to qualify for the 2015 Fifa Women's World Cup and their quest to win the African Women's Championship. Earlier this year, this sporting role model established the Amanda Dlamini Girls' Foundation, which aims to inspire young girls from rural areas to pursue their dreams. "As a rural girl, I know how it feels to be isolated from all sporting activities. Because I have experienced these challenges, I felt the need to go out there and motivate these young girls not to give up, no matter what." As part of the programme, Dlamini shares her footballing experiences and some of the . . .
Acclaimed jazz musician Piero Delle Monache leads a dynamic quartet as part of the Gordon Institute for Performing and Creative Arts’ Music in the City series. Supported by the Musica per Roma Foundation, the Italian Consulate in Cape Town, the Italian Ministry of Foreign Affairs and the South African College of Music (SACM), the performance will take place in Hiddingh Hall on Wednesday 16 October at 20:00. This Music in the City concert will feature original compositions from Delle Monache’s latest project, THUNUPA. Led by Delle Monache on tenor saxophone, the ensemble comprises acclaimed musicians Giovanni Ceccarelli (piano), Tito Mangialajo Rantzer (double bass) and Alessandro Marzi (drums). Taking on a variety of roles, including saxophonist, composer, artistic director and educator, Piero Delle Monache has played on the stages of prestigious clubs and festivals such as Pescara Jazz, Young Jazz in Town, Umbria Jazz, Odio L’estate, Moody Jazz Café, Cantina Bentivoglio, Sound Jazz Club in Brussels, and Jacques Pelzer in Liege. Delle Monache is also the artistic director of Altotenore Comunicazione & Jazz, and has organised several festival and events in Italy. In 2011, he was awarded the coveted Premio Clessidra in Musica. Besides collaborating with internationally esteemed musicians such as Flavio Boltro (one of the major exponents of international contemporary jazz) and Francesco Bearzatti (recently nominated best European musician), Delle Monache leads his own ensemble with Giovanni Ceccarelli, Tito Mangialajo and Alessandro Marzi. THUNUPA is this quartet’s first album. Their African tour spans the continent from Addis Ababa to Cape Town. This Music in the City concert will take place at Hiddingh Hall, University of Cape Town (UCT) Hiddingh Campus, Orange Street, Cape Town on 16 October at 20:00 and is free. No Booking is necessary. The SACM Jazz Ensemble, directed by Professor Mike Rossi, will play a selection of jazz standards and original . . .